Now an Adjunct Professor of Functional Neuroscience at the University of San Francisco, Paul is an accredited Exercise Physiologist, Nutritionist and Neuroscientist. He is the founder and Director of the Body-Brain Performance Institute, which provides Executive Performance and resilience Programs for companies such as SAP, CISCO, National Australia Bank, Google, Accenture and Johnson & Johnson. 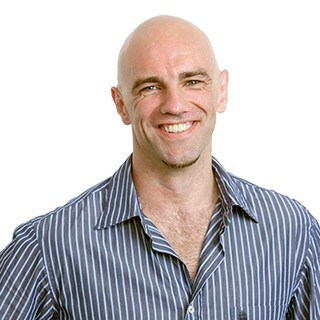 He set up the Personal Training Academy in 2006, taking it from a small Melbourne based company to a global company (www.ptaglobal.com.au) that has brought 25 of the world’s top educators together to raise the standards of education for personal trainers. In 2009 he created and hosted the TV series Body and Brain Overhaul, which was shown on both Channel ONE HD and Channel 10 and extols the virtues of Body-Brain Integration. In addition to an extensive background in health and fitness, Paul has a proven track record in leadership, management and dealing in high-pressure situations, through his extensive Operational experience and rigorous Combat Survival and Resistance-to-Interrogation Training with the Royal Navy Fleet Air Arm.